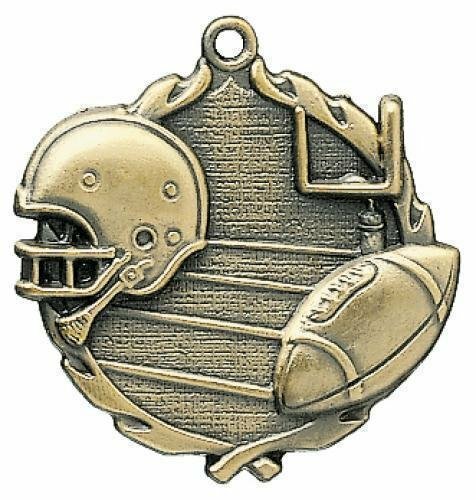 This Sport Cup Football award is the perfect way to economically recognize any player. 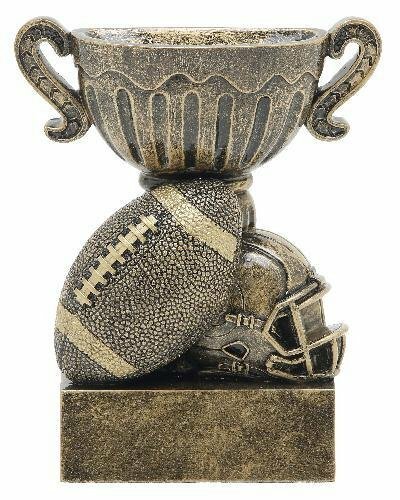 The highly detailed winners cup is set behind a football helmet and ball. 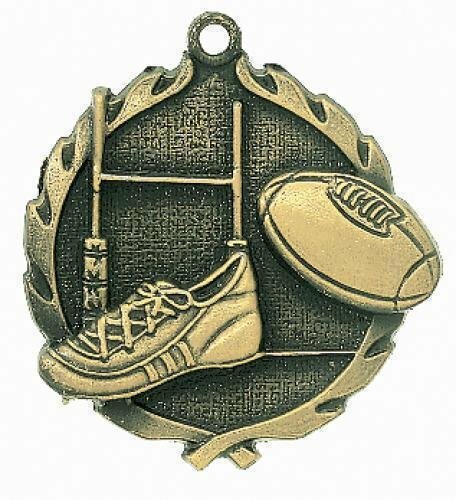 This antique gold award stands 4 1/2" tall and is available in other sports. Your personalization needs can easily be met with the large plate area to complete this award. 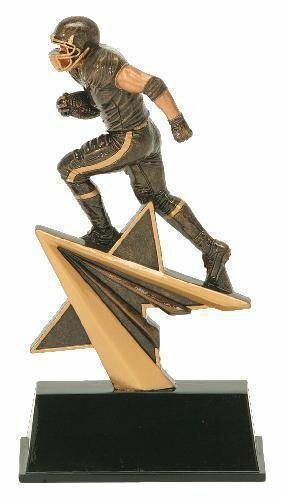 This elegant Star Power Football Award combines the icon of a star and football player in a rich black and gold tone finish. The football player is shown with the ball in his hand running to score the game winning touchdown. This award stands 7" in height while the base on these awards provide plenty of room for whatever your personalization needs may be. 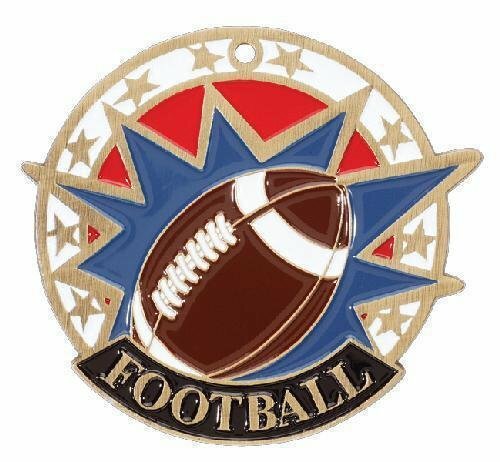 This football award is sure to be a bring smiles to you next awards ceremony! Nothing says championship like this beautiful two tier football trophy. 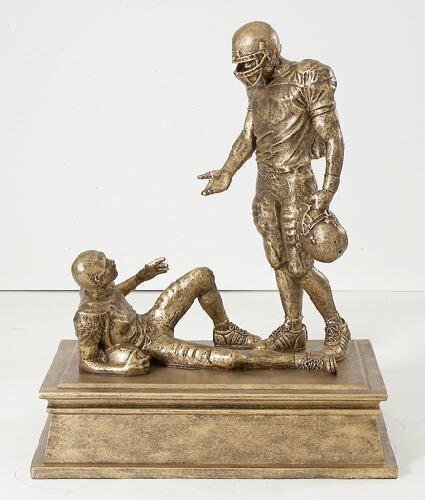 The multi-action figure at the top of the award shows a quarter back, arm back ready to through the game winning touchdown and a player with the ball tucked under his arm running for the game winning score. 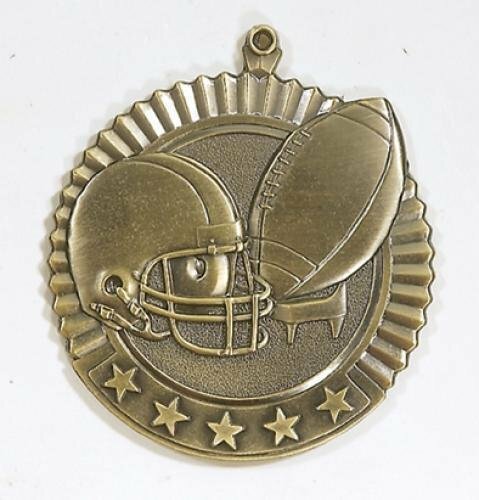 Other highlights of this award trophy is the unique full color footballs on the columns and football trims at the top of trophy. 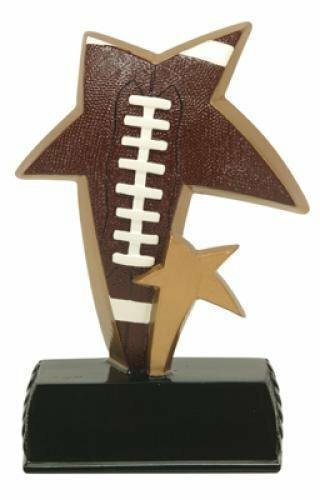 this award trophy measures 28" tall and has plenty of room for whatever your personalization needs might be. After you have added this item to your cart, you can modify any of the parts for any sporting or academic activity. Your recipient wont believe their eyes when they see this award trophy!